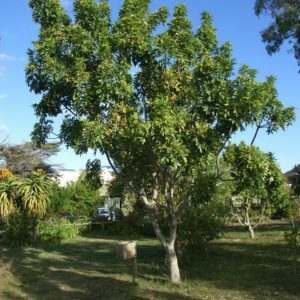 The large-leafed Cape-ash (also commonly referred to as Essenhout) is single-stemmed and divides fairly low down into a spreading rounded canopy. Its smooth, shiny fleshy, many-seeded and round fruit grows in profusion in good rainfall years and is popular with bats. Similar at first glance to Harpephyllum caffrum (Wild plum) except that leaves are less sickle shaped and shinier, tend to droop more and do not form ‘whirlpools’. 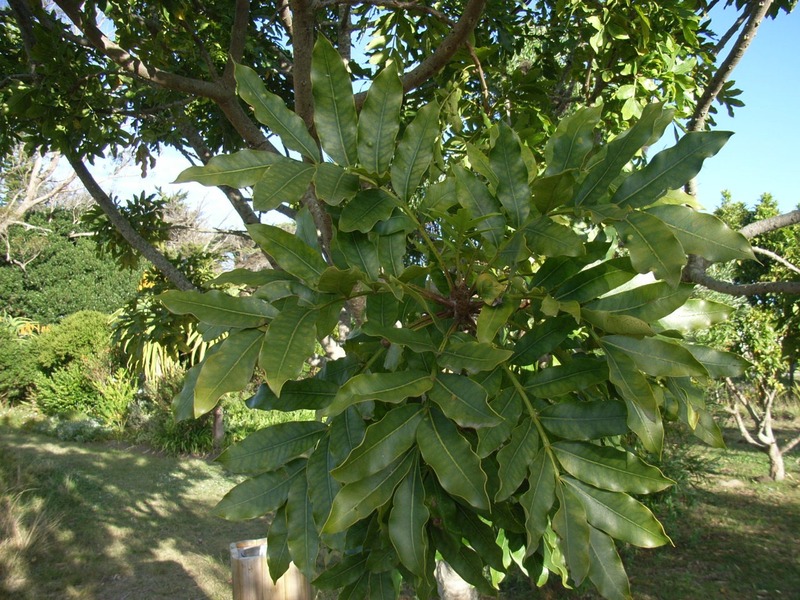 Most characteristically the branches do not have the wine-glass growth form.